There is no denying that Ben Okri is one of the finest writers to have emerged from the literary terrain of Nigeria. 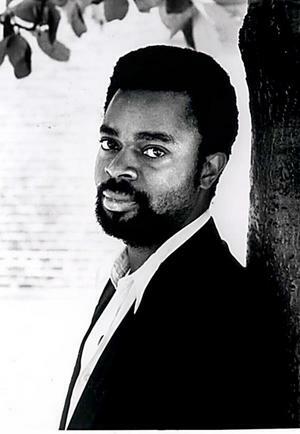 He published his first novel just aged 19 and became the first Nigerian writer to win the Booker Prize in 1991. It took almost two decades before Nigeria would enjoy such an honour again when pioneer novelist, Chinua Achebe, was awarded the same Prize in 2008. For his effort and contribution to literature, Okri was awarded the Order of the British Empire (OBE) in 2001. Sunday Trust looks into the life of this accomplished writer, his writings and sheds light on this often uncelebrated hero. Ben Okri was born just a year before Nigeria’s independence, March 15th 1959. He was born in Minna, northern Nigeria to Grace and Silver Okri. While his mother is Igbo his father is Urhobo. He breathed the air wafting from the Niger only a while before his father went to England to study law. He took his young family along and Ben was to have his first formal education in South London. By the time he finished his primary school; his father was through with his law education and was ready to return to Nigeria. The family returned at the height of the Nigerian civil war when Okri was just seven. His early memories of Nigeria were tinted heavily by the violence he had witnessed during those troubled years of the nation and they would reflect rather heavily in his writings. He read widely in his childhood and listened to folktales from his mother. This helped in broadening his scope quite early while keeping him firmly rooted in the tradition of the people that was lavishly built around myths, legends and superstitions. At a point, he attended the Urhobo College, Warri for his secondary education but was later withdrawn. He was also withdrawn from other schools and continued his education largely at home in the vibrant city of Lagos. After eventually completing his secondary education, Okri could not secure admission to the university but eventually found work as a clerk in a paint shop. While there, he wrote articles and essays on social and political issues none of which was published. His views however found readership in women’s journals and evening papers when he wrote them as short stories. He believed in his imagination and by 1978 he was awarded a grant that allowed him leave Nigeria to pursue a degree in Comparative Literature at Essex University, England. But that period came with its own challenges. He wrote and occasionally slept on office floors and eventually left without taking a degree because of lack of funds. It was as he said when describing Azaro, the lead character in his Booker Prize winning novel, The Famished Road, he was “an unwilling adventurer into chaos and sunlight, into the dreams of the living and the dead” only that in Okri’s case, he seemed quite willing. His literary prowess took wings quite early and in his teenage, while battling poverty in the Lagos ghettos, Okri still found time to pen down what would eventually be his first novel, Flowers and Shadows. It was published by Longman in 1980 when Okri was just 19. It was the story of a successful businessman for whom jealous relatives make life difficult. It was a successful experiment in contemporary Realism which ensured the novel was warmly received. By 1981, he followed up with his second novel, The Landscape Within, this time; it was about the adventure of a poor painter in Lagos. In a way, the attitude of the lead character, Omovo, can be said in a broad sense to be the attitude of Nigerians who accept their misfortunes with an air of grace, suffering with a smile. Okri’s talent is not limited to prose. He is also a poet of outstanding repute. He was made Poetry Editor for West Africa Magazine between 1983 and 1986 while also broadcasting for the BBC regularly between 1982 and 1985. It was also during this time that Okri would discover the approach to writing that best suited him since. “I am always pursuing new ways of telling a story because a story is not a beginning, middle and end, a story is much more than that. A story is like an interval in the enchantment of living,” Okri had said in a recent interview. It was this pursuit of new ways of telling stories that led Okri to magical realism, the narrative style perfected by Colombian Nobel Laureate, Gabriel Garcia Marquez in his classic One Hundred Years of Solitude. It is a style that combines the real with the fantastic, the possible and the impossible. Traits of this started emerging in Okri’s short story collection, Incidents at the Shrine (1986) and Stars of the New Curfew (1988). It was a bold experiment that Okri undertook with amazing results, though he has been criticised sometimes for seemingly over indulging himself particularly after his Booker Prize success. But he wanted to make a point and as a creative mind, he sought to expose truths and realities in uncommon fashion. “The magician and the politician have much in common: they both have to draw our attention away from what they are really doing,” he had said. Perhaps, unwittingly, he deployed this tactics to pull the carpet off the feet of politicians and in general the ruling class that have been severely attacked in most of his writings. It is not uncommon to see ghosts and three headed spirits living side by side with humans in Okri’s writings, fat women could suddenly transform into butterflies with human heads and the ghost of long dead boxing champions could return to challenge a reigning champion to a boxing bout. In Okri’s works, everything is possible. What makes it remarkable is the poise and beauty that flows in each of his sentence. He has managed to re-work the traditional African oral tradition in Standard English garnished with a buffet of literary techniques. “The worst realities of our age are manufactured realities. It is therefore our task, as creative participants in the universe, to re-dream our world. The fact of possessing imagination means that everything can be re-dreamed. Each reality can have it,” Okri explained. Success followed immediately with Incidents at the Shrine winning the Commonwealth Regional Prize for Best Book and the Paris Review/Aga Khan Prize, both in 1987 while Stars of the New Curfew was shortlisted for the Guardian Fiction Prize a year later. But Okri was to win his greatest accolade with his magnum opus, The Famished Road (1991) which got its title from a poem by compatriot Wole Soyinka – “May you never walk / When the road waits, famished.” It won the Booker Prize for that year, making him the first Nigerian writer ever to win the coveted prize. It is a phenomenal novel that tells the story of an abiku,(a spirit-child) Azaro, who because of his parents’ love decides to stay but is confronted by his friends in the spirit world who are determined to take him back to where he came from. In the ensuing struggle, Azaro drifts between the world of the living and the dead and is witness to the abject poverty of the masses and the corruptions of the politicians on the eve of Nigeria’s independence. With that book, he also won several international awards, some coming three years after the book’s release. That book sealed his place in the history of Nigerian and global literature and many agree that Okri is yet to write a finer novel. Others have variously described his style as incomprehensible. While one may be tempted to agree with them, particularly considering how some of his stories in Stars of the New Curfew tend to raise more questions than answers and ending abruptly and inconclusively, leaving the reader gasping and wondering what sense to make of it, there is no denying the immense talent Okri is gifted with. Yet one cannot help commending the cosmopolitan nature of Okri’s characters and settings. This may be due to his varied experience growing up but his stories could fit into practically any setting in Nigeria. He has managed to de-emphasize ethnicity and stereotyping common in contemporary Nigerian literature. He was heavily criticised in Britain where he lives and at a point, he could not hold his peace and lashed out at his critics who he felt where being unduly harsh on him. He still went ahead to release the third instalment of the Famished Road, Infinite Riches (1998) and some of his recent efforts, particularly Starbook (2007) and Tales of Freedom (2009) have received critical acclaims.